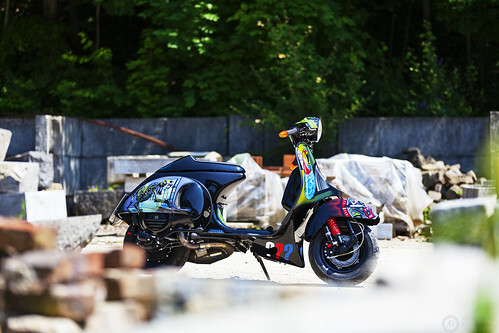 Claudia Zinnen’s Vespa with a “Die drei ?? ?”-theme made it to the cover of the current issue of Scootering Magazine. So basically JGS is a half-jew internationalist who wants Mexico to be more like the USA. I say let Mexico be Mexico, and let Mexico stay in Mexico. The Mexican prohibition against foreigners owning land is a good one, from a Mexican standpoint. And BTW we didn't 'steal' California from Mexico. They declared war on us and we won. We then paid them for it. On top of that, Mexico stole California from the Spanish, who stole it from the Indians. No, the post is not inaccurate. Change.org began with the intention of hosting a site for leftwing, progressive causes.It has changed course.And yes, you can be tricked into signing a petition, as I was.I signed a petition saying that I support teachers and unwittingly became a member of Rhee’s StudentsFirst.I was deceived.Rightwingers have petition sites too, although generally they don’t need to petition because they now own so many states as well as the U.S. Department of Education.